J ason Edberg is a Vice President with NTH Consultants, a civil engineering consulting firm in Detroit, Michigan. His primary professional focus is on water, wastewater, and storm water infrastructure – including Green Infrastructure. In his nearly 10 years at NTH, Jason has helped plan, design, construct, inspect, asses the condition of, and repair water, wastewater, and storm water infrastructure for Oakland, Macomb, and Wayne Counties, and for the City of Detroit. 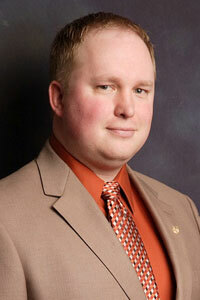 Jason is currently registered as a Professional Engineer in the State of Michigan, Ohio, and Illinois. Oak Construction Code Board of Appeals and actively promotes the involvement of engineers in their local communities and government. He is also actively involved in several professional organizations, having served as president, vice president, treasurer, and sitting on the board of directors for organizations such as the Michigan Society of Professional Engineers (MSPE), American Society of Civil Engineers (ASCE), and the Society of Mining Engineers (SME). Jason has been recognized for his contributions to the engineering profession, having been awarded the ASCE Michigan Section Young Engineer of the Year, the MSPE Detroit Metro Chapter Young Engineer of the Year, and the MSPE Professional Award for his contributions to continuing education for engineers in the State of Michigan. Jason was born and raised in Sagola, Michigan, a small town in Michigan’s Upper Peninsula. He attended the University of Michigan in Ann Arbor where, in 1999, he received a bachelor’s degree in civil and environmental engineering. He is currently pursuing his MBA at Wayne State University in Detroit. Jason is a 10-year resident of Royal Oak, Michigan, where he lives with his wife Cheryl and son Brady.